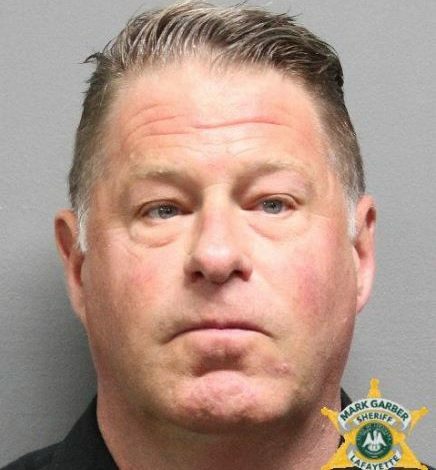 Suspended Lafayette City Marshal Brian Pope has been indicted again, on 17 counts of malfeasance. A Grand Jury finding the disgraced lawman diverted city-court fees to his personal bank account 17 times between January fifth and october 3rd of this year.The monetary value in the indictment adds up to just under 70-thousand dollars.That second date is significant. October third also happens to be the day pope was convicted on four felony charges of perjury and malfeasance. He was officially suspended the next day. No sentencing date has been set for the felony convictions. Pope was also indicted mid- September on seven malfeasance counts, but today’s indictment adds 10 more counts to that. He pleaded not guilty to the seven counts he was indicted on in September.